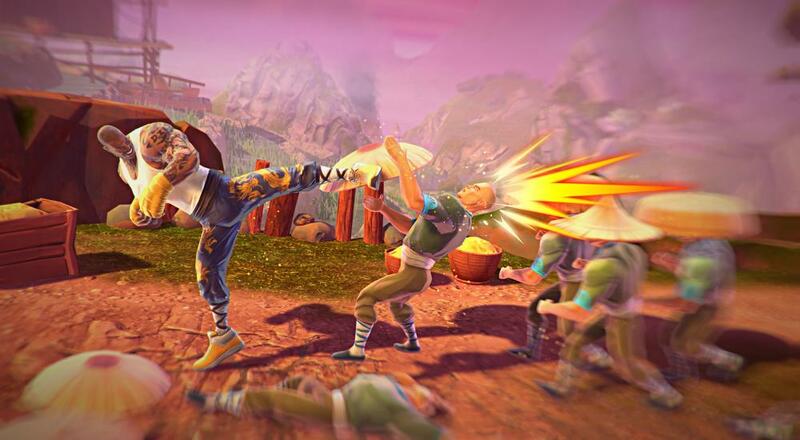 It was a surprise when it was announced, and perhaps even more of a surprise when it got funded, but Shaq-Fu: A Legend Reborn will be an actual video game that is actually released this year. That's the good news. The bad news? The title will not launch with co-op. Co-op Gameplay. Grab a friend and battle it out in tandem. Play as Shaq’s identical twin (no he doesn’t sell insurance) or select from a host of other playable characters with different skills and power-ups. Split screen action available, baby! Co-op won’t actually be available come launch day, but we are working to have co-op support post-launch. More details to come. So, unfortunately, no co-op for Shaq anytime soon, it seems. As there are plans to add co-op at some point, the title is still in our games database, but just marked with the "Co-Op Has Been Removed" tag until we hear more. Page created in 1.5128 seconds.